Nissan West Europe brings electric mobility to France with delivery of the country's first 100% electric Nissan LEAF. Mr. and Mrs. Gerbaud took delivery of their white Nissan LEAF at NISSAN COURIANT in Aix-en-Provence on August 2nd. This groundbreaking moment represents France's first delivery of the 2011 European and World Car of the Year. This early delivery is also a demonstration of the company's effort to recover from the natural disaster of March 11th in Japan and the readiness of Nissan's EV dealer network in France. Carine Gerbaud will mainly use her Nissan LEAF for daily commuting to her workplace. As she drives 80km per day on average, the Nissan LEAF's homologated range of 175km with a full charge is sufficient to cover her needs. Philippe Gerbaud said that their decision to buy an electric vehicle was not only to "preserve the environment" but also driven by the particularly low running costs the Nissan LEAF offers: less than 2€ per 100 km in France compared with about €7 for a similarly-equipped diesel family car. "We've been spending 400€ per month at the petrol station. From now, we should only pay 60€ per month in electricity. The extra cost of the vehicle will be recovered in one year after which the monthly fuel saving can be used as a contribution towards the monthly finance repayments" explains Mr. Gerbaud. Eric Couriant from Nissan Couriant in Aix-en-Provence applied to become a certified EV dealer because he believes "Nissan is making history by bringing sustainable mobility to the mass market and we wanted to be part of it". "Most customers testing the Nissan LEAF are very positively surprised by the performance, the comfort, the roominess and the range of the Nissan LEAF." Mr. Couriant added. Nissan Couriant in Aix-en-Provence is one of the 14 certified EV dealers (along with Chambourcy, Clermont-Ferrand, Grenoble, Marseille, Maurepas, Montpellier, Nantes, Nice, Nîmes, Paris 12ème , Perpignan, Strasbourg, Toulouse) to sell the Nissan LEAF in France. This list is expected to grow rapidly in the near future. 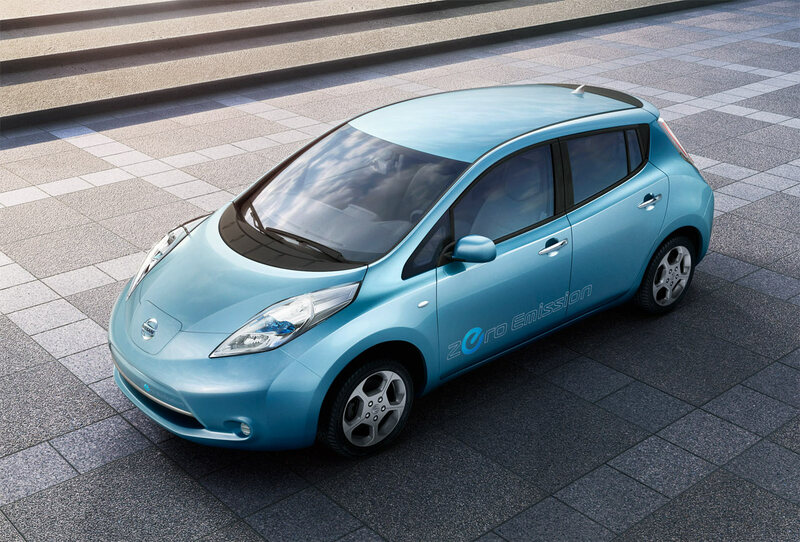 Deliveries of Nissan LEAF have already begun in the UK, the Netherlands, the Republic of Ireland and Portugal. Order books have also opened in Switzerland, Spain, Belgium and Norway with customers in those markets expected to start receiving their cars shortly.